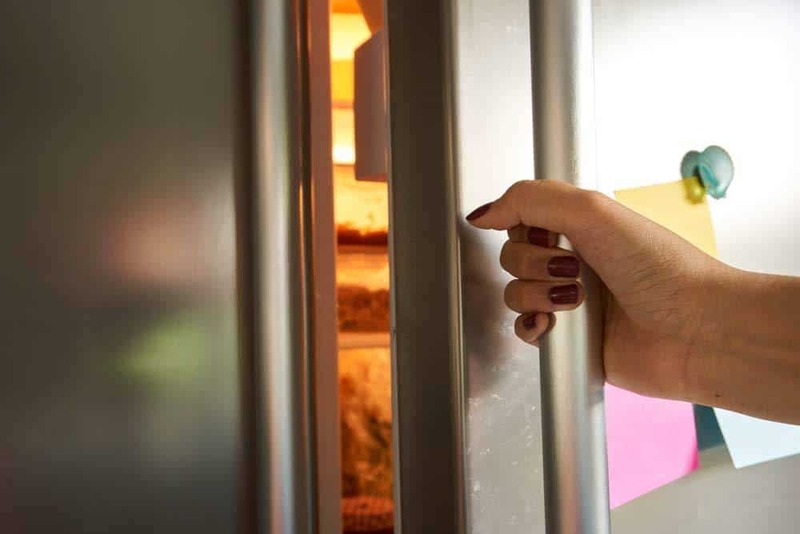 We’ve all shared this well-kept shame in our kitchen — that moment when we choose to resurrect a soft and soggy chicken sitting right inside our refrigerator! 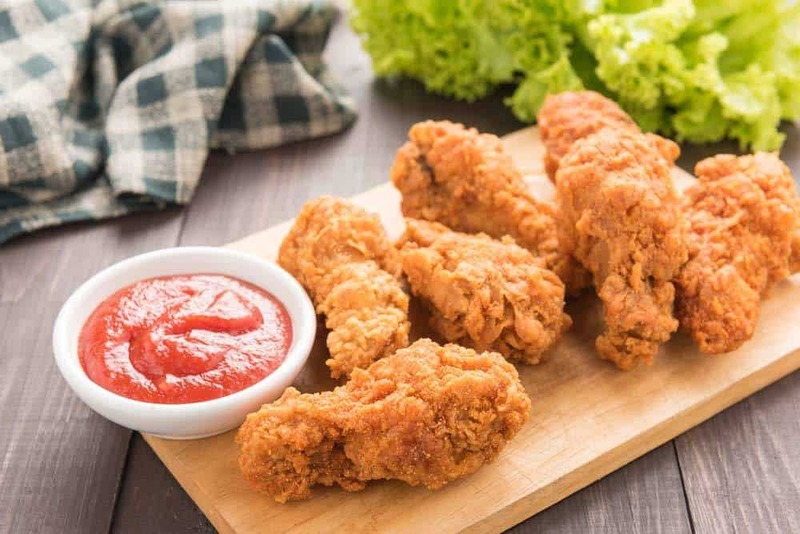 Whether it’s decided for a quick fix dinner or that certain longing we all have for that heavenly fried chicken, the dilemma that comes next is almost universally the same: how do I ever reheat this fried chicken to transform it as it first landed on your table? Of course, there isn't any perfect way to conjure an exhausted chicken into a perky one magically. However, there are ways to crisp up and reheat your home’s favorite fried chicken just closely enough for you to enjoy like before. If you’re interested in reheating your fried chicken in ways that should be proud of, hang in there as I unravel them one-by-one in the following sections. Method #2: Re-Fry Your Way To Another Crispy Ride! Your good old oven is going to become your new best friend if you want to see that tasty fried chicken of yours glorified with crispy goodness once again. 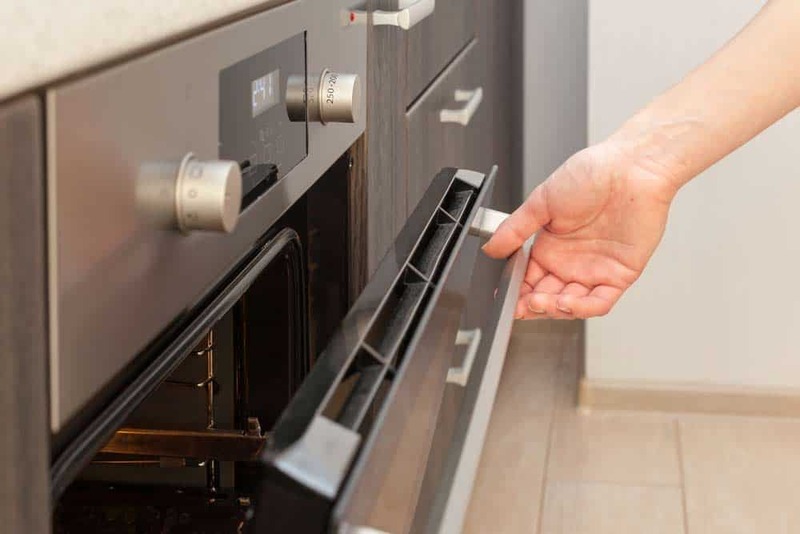 You can use any oven except that sitting microwave in your kitchen. Unless you’d like your fried chicken ending up as a rubbery, soggy, you may want to veer away from it and start reheating them like a pro with your oven. Your baking sheets are essential to making your soggy fried chicken that crisp-good again. I’d recommend covering your baking sheet with aluminum foil as it will aid you on cleaning the mess up with a much easier system once you’re done reheating. This step is very crucial as you should allow it first to breathe at room temperature for 30 minutes. Meanwhile, let the chicken pieces sit on the sheet evenly placed. While you perform this, you can do other prep work that you need to do. I’d recommend that you pre-heat the oven first during this step. Now, place the fried chicken on your baking sheet. 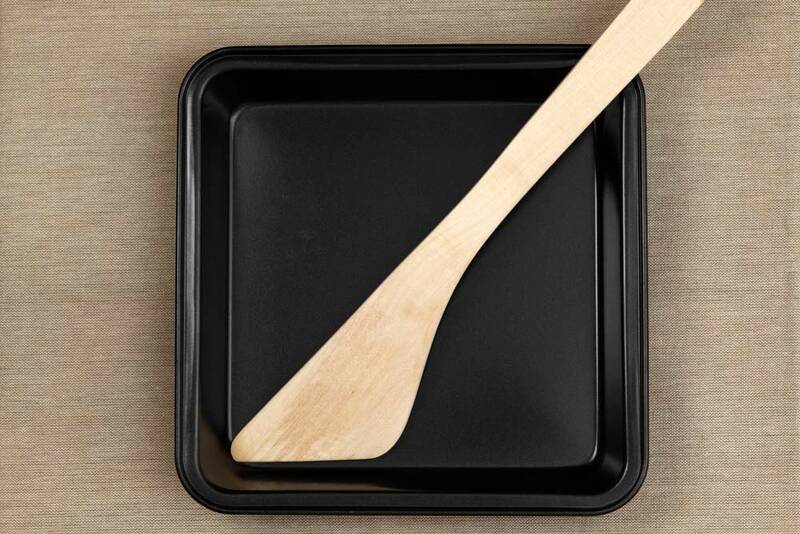 Please ensure that your baking sheet is oven-safe.Tips: Try not to prep the fried chicken pieces for the oven right before they’re able to get that desired room temperature. As such, your chicken’s cold meat may interfere with the process of crisping on the outside. This is needed to make them as delicious as they were before. Now, while this sounds a little easier as expected, you must take note of the variety or parts of the chicken before reheating as some of these will take longer than others in reaching the optimal temperature.Chicken wings and legs would generally reheat faster from 15 to 20 minutes. Thighs and breasts would take from 20 to 25 minutes.Tips: Please keep a very close eye on the chicken pieces as you don’t want them to get overcooked. Also, I’d recommend spritzing some water on these chicken pieces to prevent them from drying out. If these chicken pieces are ready to eat, they must feature a somewhat crispy exterior and should be warm all the way to their bones. If you have a wire rack, put the chicken pieces on it and let them cool for about 5to 10 minutes before serving them up again. Now, I’ve heard that some people are re-seasoning their fried chicken to which I beg to differ. This would only make them even tastier, but not in a good way. Your re-heating process must be enough to preserve any seasoning from your re-heated batch. Along with the previous method of re-heating your fried chicken, it’s a must that you let these chicken pieces come to a room temperature first for 30 minutes. While doing so, you can do some prep work like setting the table or preparing some side dishes. If you miss this step, your cold chicken might interfere during the frying process. In essence, once you drop a cold chicken into hot oil, it will reduce the oil’s temperature for a minute or two significantly. Thus, this misstep won’t be providing you that crispy fried chicken aspirations! 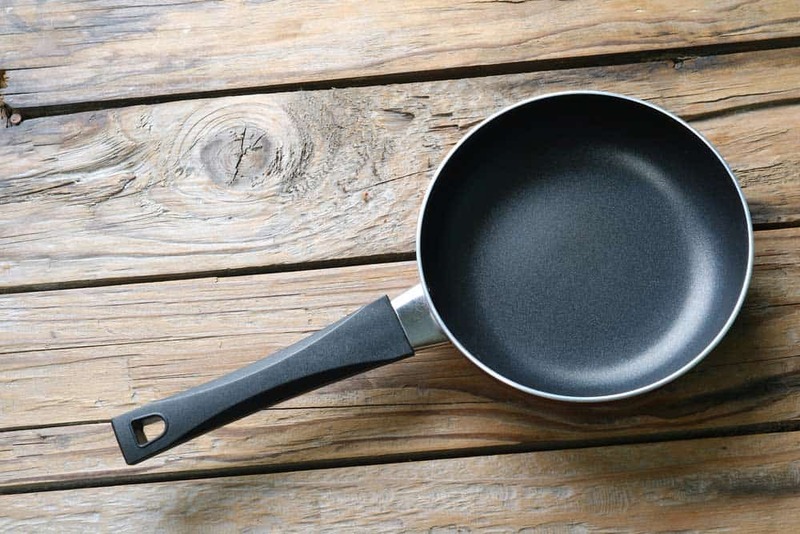 Heavier ﻿﻿pans such as Dutch ovens or cast iron skillets are necessary if you choose to re-fry your fried chicken as they retain heat well during the process. A deep fryer is also suitable but is not required. 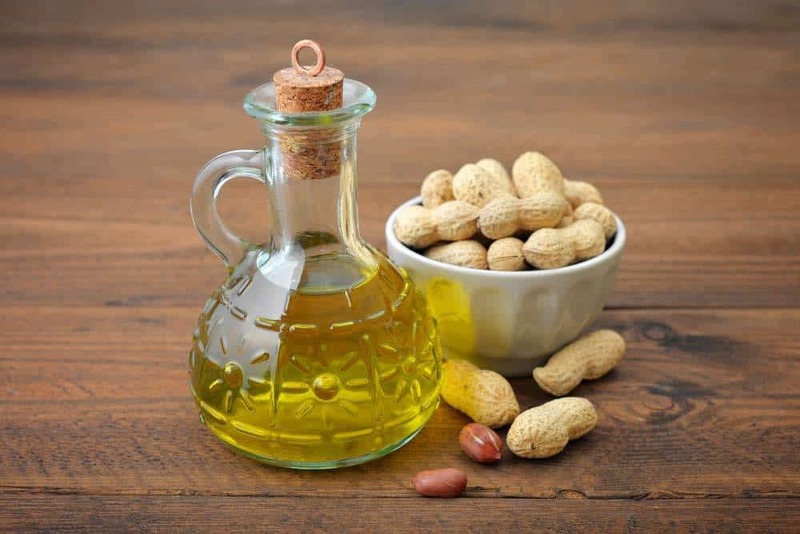 I won’t recommend the use of olive oil or any other ﻿﻿oil that has a low smoke point as this will result in a bitter and often burnt flavor. 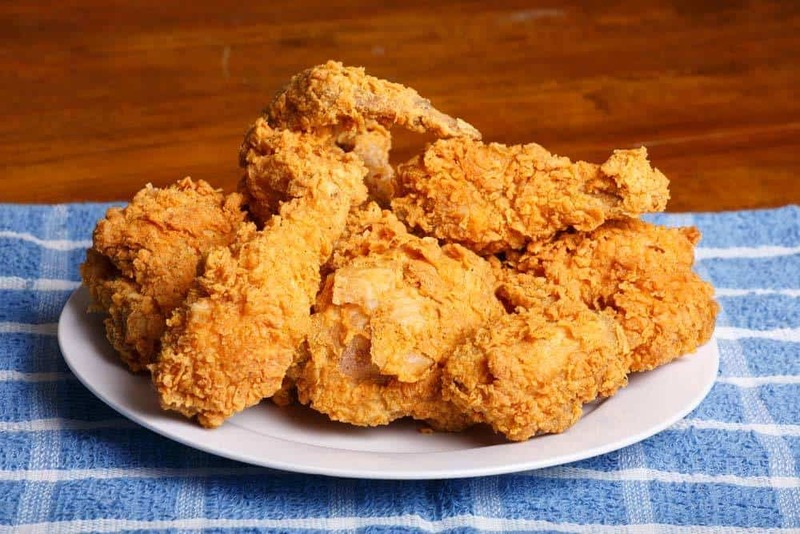 High smoke point oils such as vegetable, canola or peanut oil will provide you that crisp and tenderness that you’re looking for in a fried chicken. On a plate, set the chicken pieces evenly and allow them to come to room temperature for about half an hour. Just to reiterate, this step is crucial as it will provide these pieces with a crispy exterior. Set the pan on the stove and turn the burner to high. I’d usually add plenty of frying oil to my pan until I’m satisfied that the bottoms of my chicken pieces are submerged. I’d recommend the use of tongs so it could aid and protect you from unwarranted splashes. Fry them in the oil for about two to three minutes while turning them regularly. Ordinarily, I’d adjust my cooking time to a long, adequate one as it usually gives me that crispier and drier skin. Although, I should warn that re-frying them for a very long time might a very dried chicken meat. On your wire rack over the pan, place the pieces evenly. When you allow them to drain for three to five minutes, your re-fried chicken should give you an even crispier skin. Your chicken pieces should be now ready to be enjoyed. Re-heating your fried chicken is not that hard if you follow the instructions above. But if you deviate from using any of those ingredients or equipment, you might end losing that succulence you’ve been dreaming of from your prized leftover fried chicken. Re-Fry Your Fried Chicken In A Sufficient Amount Of Oil.Searing your chicken in a skillet isn’t a very good idea. When you choose to re-fry them in a low-oiled frying pan, the tendency is that you’d be getting an unevenly fried chicken pieces. 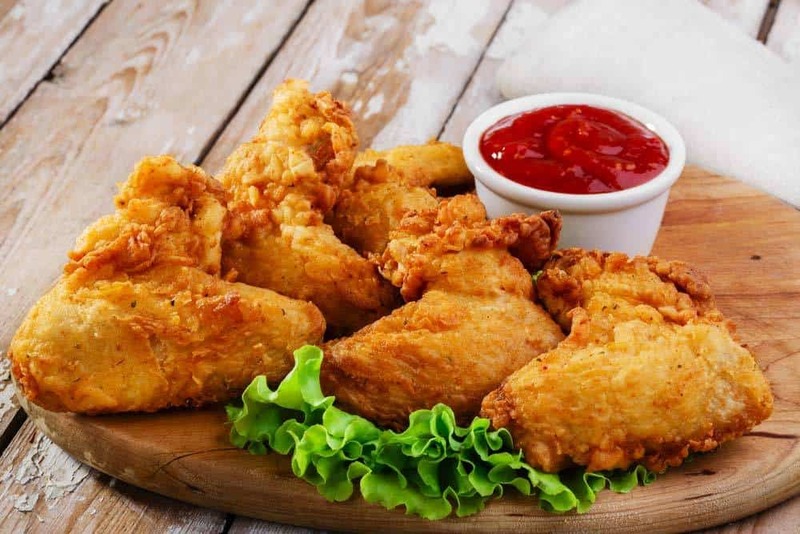 Cool Your Chicken Pieces On A Plate Instead.Most of my friends would let their fried chicken cool off on a paper towel that is undoubtedly a really nice place to cool since they can absorb some of the excess oil. I am guilty of doing this, mind you. Accordingly, the moisture that is produced when you do this will just rehydrate that crispy, delicious skin you have slaved for minutes! After years of using my microwave oven to reheat my fried chicken, I have found rather amusingly that there are appropriate ways to perform such simple task. However, my research on this has also enlightened me that you must have the right equipment (Oven, high-smoke-point oils, sans the paper towel) to achieve that proud crispiness in your reheated fried chicken! I certainly hope that this article would help you now on expertly re-heating your family’s leftover chicken! If you think I missed something throughout this piece or if you have something to share, please feel free to sound them in the comment section below.